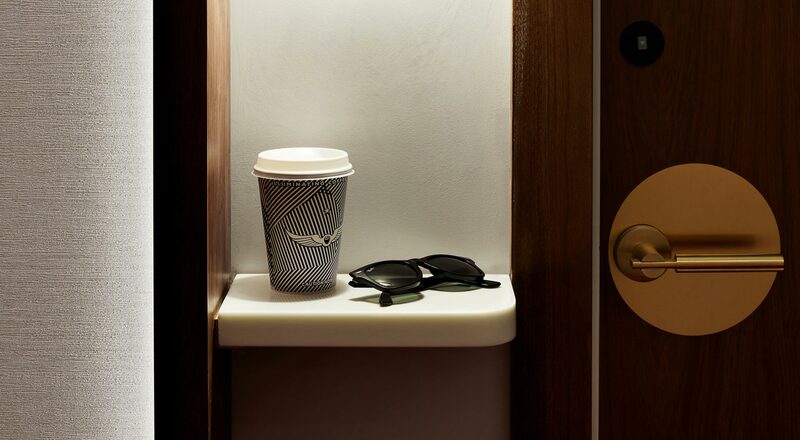 The TWA Hotel’s elevator runs express from the guestrooms to Intelligentsia espresso. The freshest coffee at JFK Airport is brewing! Grounds for celebration: Intelligentsia Coffee is the exclusive coffee provider of the TWA Hotel. The 23-year-old Chicago-based roaster will open a midcentury modern-inspired coffeebar in the 1962 landmark building designed by iconic architect Eero Saarinen. Throughout the 200,000-square-foot lobby, Intelligentsia's baristas will also take orders from custom mobile carts. 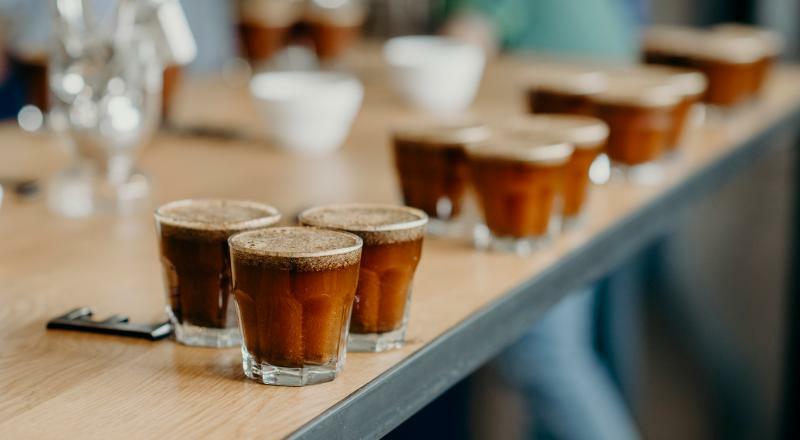 Drink it in: Intelligentsia’s caffeinated treats are served hot and cold. Photo by Intelligentsia. 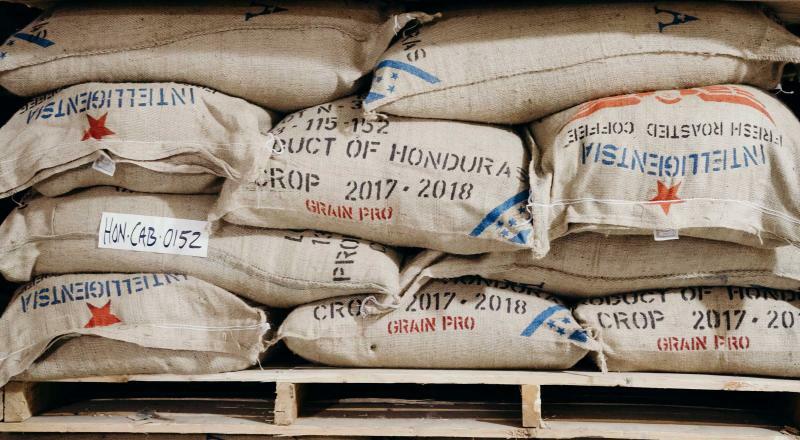 Intelligentsia's coffee buyers travel the world — visiting family-owned farms and smallholder co-ops from Honduras to Brazil to Ethiopia — to seek the best crops. The harvested coffee is roasted at peak sweetness, ensuring that each cup offers vibrant flavors for the freshest coffee at JFK Airport. Intelligentsia's coffee comes from family-owned farms and smallholder co-ops. Photo by Intelligentsia. 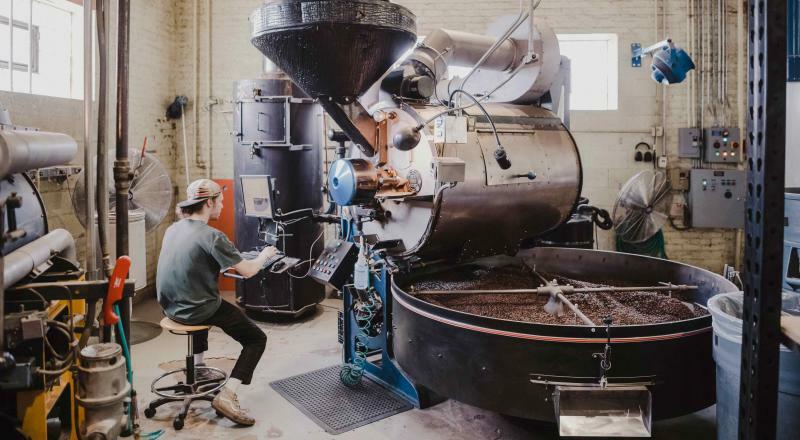 Intelligentsia uses a GotHot Roaster. Photo by Intelligentsia. Espresso drinks and cold coffee — brewed hot and then flash chilled — will be offered. Also available: Sudden Coffee, a high-quality, seasonal instant coffee option for those whose flight is already boarding! Coffee not your grind? Intelligentsia baristas pour Kilogram tea varieties including white, green, chai, oolong and tisane. The 1963 Citroën truck sits outside The High Line Hotel. The TWA Hotel coffeebar will mark Intelligentsia’s second New York location. Since 2013, Intelligentsia has operated a zinc-topped coffeebar at The High Line Hotel, a Gothic gem in New York City’s Chelsea neighborhood also owned by the TWA Hotel’s developer, MCR/MORSE Development. 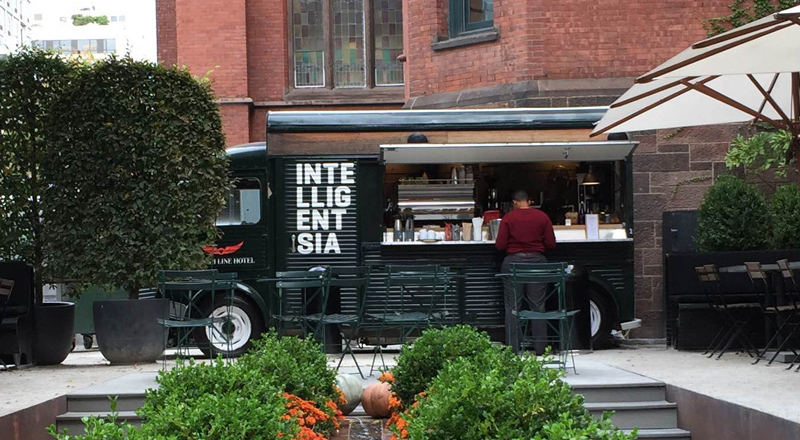 Outside the hotel, Intelligentsia serves coffee and matcha tea from a fully refurbished 1963 Citroën truck. Celebrated chef Jean-Georges will open the historic restaurant.